Who new? That back when the Internet Super Highway was a rutted dirt road and ALL websites were mud huts… That this fledgling thing called the Internet could would both break so many things be so “disruptive” and yet; indeed make life so much more convenient. 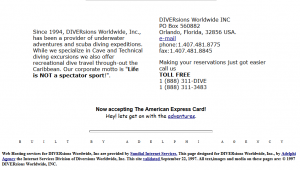 DIVERsions Worldwide, began as an adventure dive company whose mission was to help scuba divers (and cave divers in particular) with their dive travel. As interest grew in the Diversions Worldwide original web site, (more especially what was this Internet thing?) Diversions Worldwide would eventually evolve into the parent company for several diverse companies including the Internet web development and consultancy Adelphi Agency and the record label DWI Records, the political media property Harangue (The Right Social and Political Commentary) and the hugely popular regional (SE US) band Groove Therapy. . .
. . . And the supervising of scuba divers in caves, caverns and other overhead environments (wrecks) – was passed on to other seasoned scuba diving professionals. 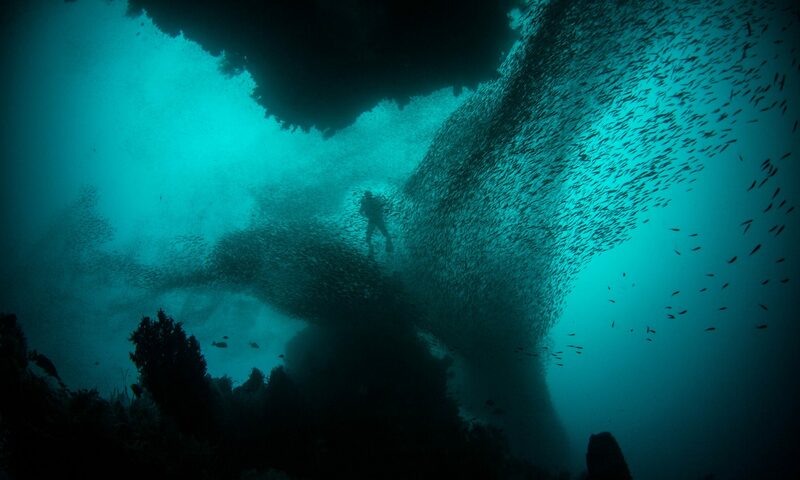 Now, we look for fun, easy, warm and clear water diving; in the close (to us in Florida) environs of the Caribbean Sea (and of course neighboring Bahamas and Mexican Riviera too). ?